This spring we're going to be celebrating individuality and style. Fashion Week has set the tone for style and this spring is going to be about everything 80s, so put on your disco colours and have fun with it! Femininity is being redefined, so expect to see a lot of people overthrowing their tight clothing for the comfy “boyfriend chic” look. This spring we're going to see a heavy focus on baggy clothing and designers like Antony Murato and are going to be big. The 80s are going to be big this Spring, so pairing big airy tops and bicycle shorts are going to be the way to go! So if you love to steal your boyfriend’s T-Shirts and sweatshirts now you have a great reason to! Athletic inspired outfits are going to grow in popularity this Spring, after hitting the runway with an “easy elegance” vibe, expect to be swapping your jeans for joggers and gym pants this Spring. Forget about suffering in the name of style! Now wearing sporty clothing is less about getting fit and more about getting in line with the seasons latest comfy trend. 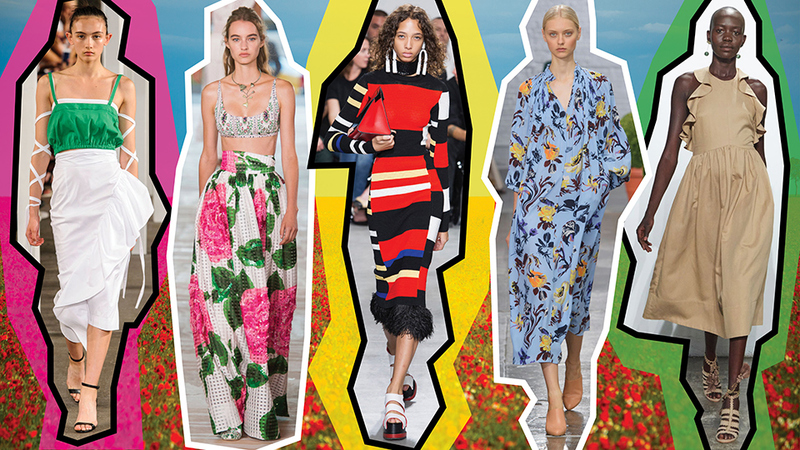 The runways at fashion week have been filled with brightly coloured “seaside stripes” which have a real British Summertime vibe to them. Think beach umbrellas, brightly coloured deck chairs and ice cream weather. This Spring is going to be all about celebrating your childhood memories at the seaside, so beach colours and seaside stripes are going to be a wardrobe staple. Following with the sporty comfy vibe that Spring is going to bring, expect to see a lot of trainers and sporty footwear to finish off an everyday look. The best thing about wearing the right kind of trainers is that you can wear them at any time of the day, whether you’re having a casual day out or going out at night, trainers have you covered! There are so many styles, brands and fits that the choice is endless, so get creative with your footwear this spring! This Spring we are turning our backs on sweet pastel colours and romantic pinks to make way for a bolder and brighter palette. This Spring our eyeshadow palettes should be filled with deep oranges, purples, blues and greens and our makeup bags should be filled with bold coloured lipsticks and lots of glitter. Fashion Week has set a tone for the future of makeup, and it seems that this Spring is going to be all about the 80s, so expect to see a lot of sparkle, bold colours and big hair!